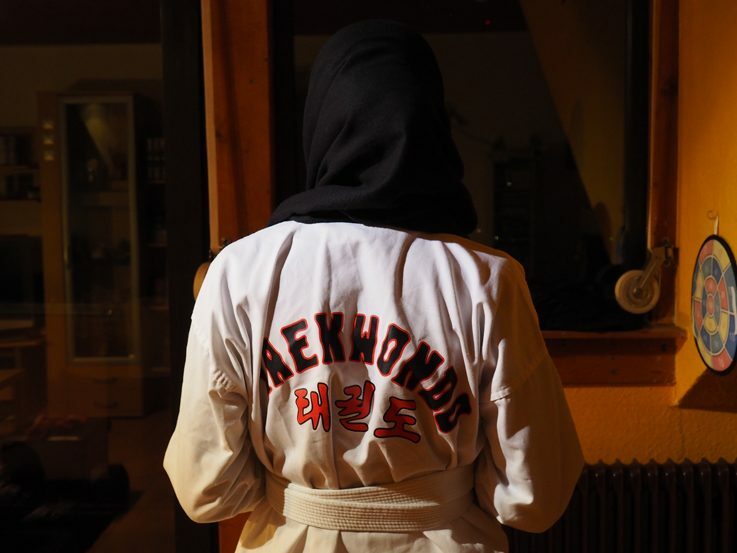 Sport: When practicing Taek-Won-Do, I learn to use my power precisely and use my body in my defense. The training is a lot of fun and my teammates are always very open towards me (despite the headscarf!). Work: As a computer science and neuropsychology graduate, I work a lot with people, but also with machines. Since I spend a lot of time in the office, some prayer times fall into my working hours. But it was never a problem for me to simply spread my prayer rug and pray and to integrate worshipping God in my life despite having a stressful workday. 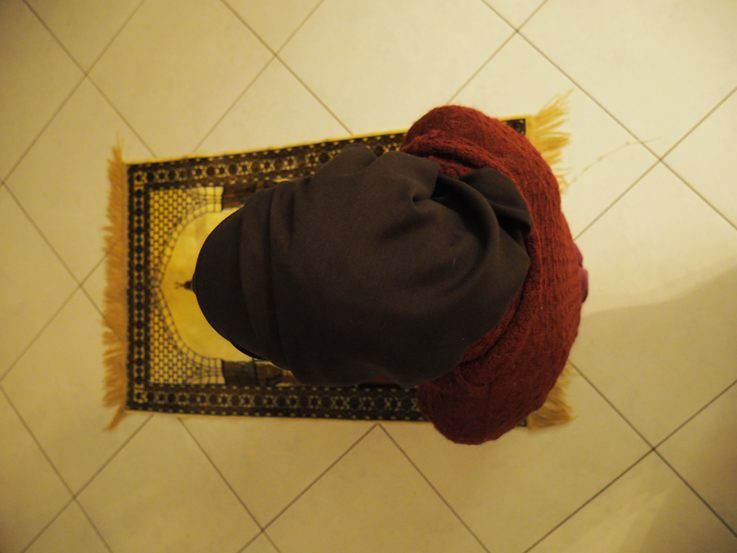 The photo shows the prayer rug I normally use. Art: I like to draw and design, be it to paint T-shirts or shoes, design rooms, to dress up or put on make-up. I would never say no to visits to an art museum. 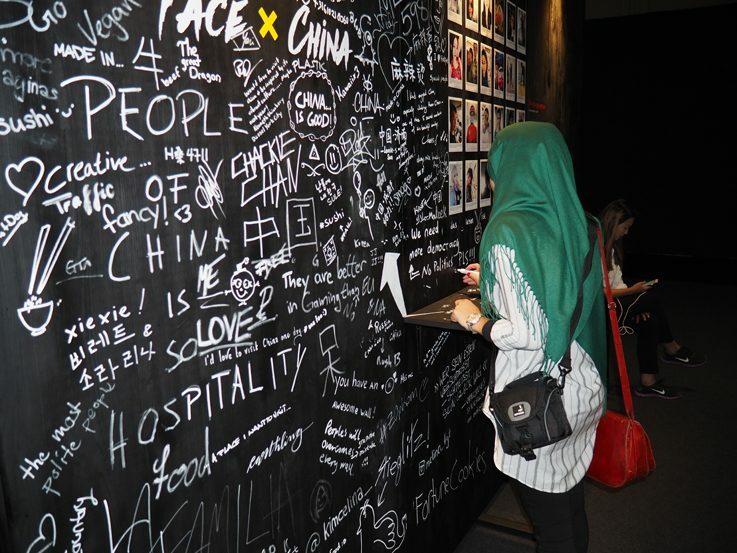 In this picture, I am at the photokina Cologne and immortalize myself on a blackboard. Love plays an important role in Islam: Be it the love for god, the love for one’s family, or the love for friends. 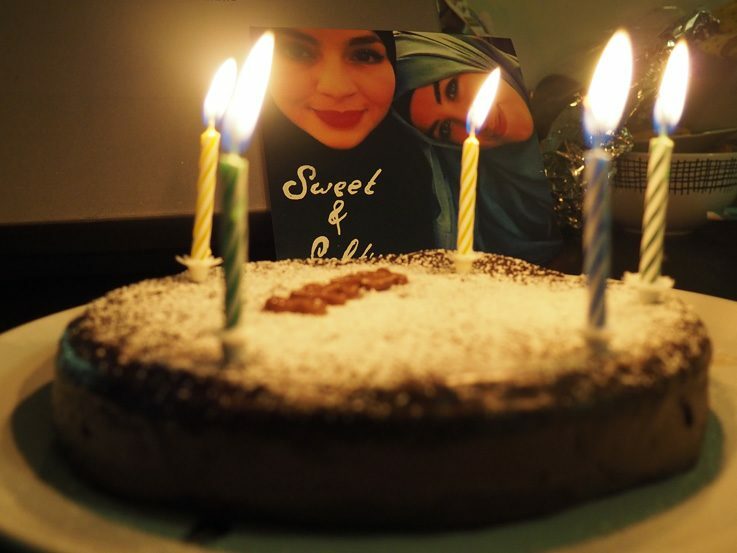 In this photo you can see the birthday cake baked for me by my friend. Birthdays are very important for me and I always celebrate them with the people I love, so I can truly enjoy this special day of the year. 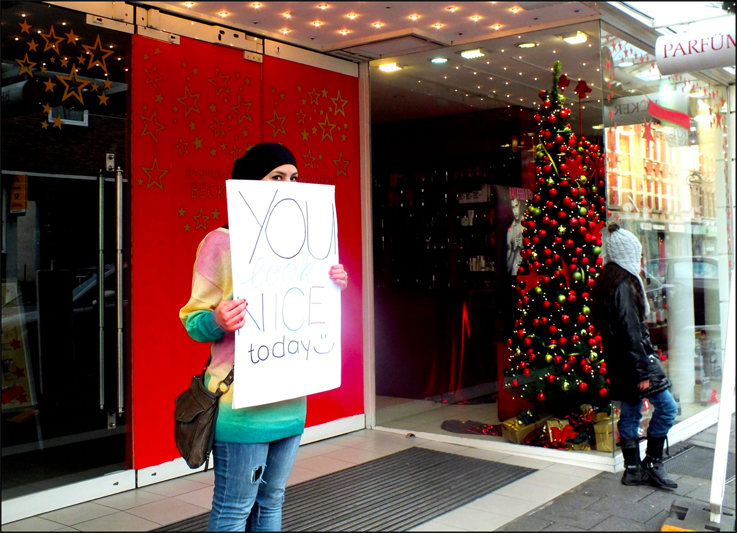 Positivity: Especially in my youth, I often went to downtown with “Free Hug” or “You look nice today” signs - which often resulted in interesting conversations, including about Islam or my headscarf. Even if there were sometimes negative comments, passers-by have often just asked why I'm wearing the headscarf, or even said that they think it's great. Ich bin 23 Jahre alt und arbeite derzeit als Informatikerin und Lerntherapeutin in Köln. In meiner Freizeit habe ich sehr viele Hobbies, die ich versucht habe, hier in Form von Fotos darzustellen. Ich bin nicht nur eine Muslima, sondern auch ein riesengroßer Musikfan, liebe Kunst, meinen Partner und meinen Job. Trotzdem integriere ich meine Pflichten in den Alltag (beachten Sie jedoch, dass das Foto zum Gebet auf der Arbeit nicht mich darstellt).